1. Combine Guinness, milk, eggs, melted butter, and vanilla in a bowl and whisk thoroughly. 4. 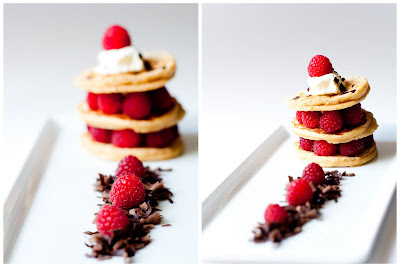 Layer pancakes with raspberries, shaved dark chocolate, and mascarpone cream. You can find the recipe to mascarpone cream here.